There is no wrong way to design something. Being a software engineer and a systems designer, I am generally immersed in “technical art fields” at all times. You can’t art wrong. You can art in ways that people might not like and you can certainly art to any degree of efficiency and in the case of software to any level of efficacy but you can’t call it wrong. I’m going to talk about a lot of different sources of inspiration and… whatever the opposite of inspiration is… but we’ll be in the right place in the end, so let’s talk a walk. We’ll start with World of Warcraft. Warcraft fans and players have been a bit at odds with each other for years at this point, and recently Blizzard has kicked that dust pile up by announcing Classic servers. I’m not going to weigh in on either side of the debate of whichWoW is best WoW, but I did play and did raid in vanilla. I’ve played it on and off through its entire life, so I’m well aware of what it used to be like and what it’s like now. Blizzard lost me at some point, and the main reason for that was a shift in identity. It probably makes little sense to most, but the main reason I played WoW was to inhabit my main character. I have alts, yes, but that was mainly to experience the class design. My main character has existed partially since original release and wholly since Burning Crusade debuted (only because I remade her to launch into a Blood Elf for a roleplaying guild). WoW is rarely an immersive roleplaying experience without involving other people heavily. The world is static and pre-scripted sequences repeat on schedule constantly. Despite killing the 30 harpies they asked you to kill, the quest giver NPC will ask every other player that comes by to kill 30 more. There will always be harpies to kill, and anyone who kills 30 of them will get the same reward. The MMORPG — which, let’s be honest, is an evolution outward from the old Diku style MUDs with its static repops and limited scripting — is mostly hostile towards immersive roleplaying. The world isn’t helping you RP in any way and it tries to tear down the belief you’re suspending every chance it gets. Still, people roleplay in those worlds. When I am on World of Warcraft, I am my character. Except when Wrath of the Lich King, the second expansion, hit. A huge difference in design for WotLK was, to put it mildly, the abuse of the vehicle mechanic. Vehicle control mechanics weren’t new, but they were perverted for sure. When you’re in a vehicle you are given alternate abilities and an alternate health bar. It is seen very early in the first expansion, The Burning Crusade, when you hop on a giant bat and are instructed to bombard an island from the sky. What WotLK did was go all out on the idea. Entire sections of the game have you becoming a whole other character. It’s still the vehicle system, but now you’re a giant ghost woman or an undersea Viking guy for a dozen+ quests, and every time you happen to fly past that section of the map you convert back. It’s disquieting to say the least. This divergence went even further in the next expansion, Cataclysm. Up until that point you were, to the world at large, a member of The Horde or The Alliance. The faction names themselves imply that you are a single part of a much larger organization. You are (R)ole (P)laying in the (G)ame with a (M)assive a(M)ount (O)f other people. 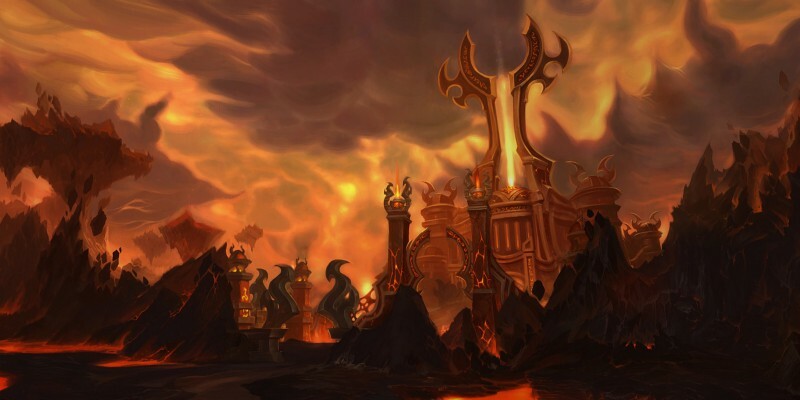 Cataclysm didn’t just sunder the entire game world, it decimated the design philosophy along with it. At every point in the various storylines in Cata, you are the singular hero. You’re saving a bunch of drowning people on a downed ship. You’re saving the Egyptian giant cat dudes in the desert. Grandiose merits are part of every normal single player quest line. It may seem fine to have it that way but you’re also elbow-to-elbow with 10 million other players who are also the single most important hero in Azeroth. It is so fundamentally immersion breaking that I managed to get to max level and quit the game for the first time. I had no interest in any sort of end game activities. The next few expansions went mostly the same way. The current iteration, Legion, isn’t much better in that regard, but was such a stark change in other ways that I found it a bit more compelling. The primary way it was different is mechanical identity. Mechanical identity in World of Warcraft has been on the downward slide for a long time. I play the holy priest class in WoW. Early on, holy priests had a strong class identity. You had really impactful slow heals. You had loads of ways to heal. You had some of the best burst group healing. Over time, things came and went but the healing classes mostly became copies of each other with minor differences. The design tenant of “bring the player not the class” resulted in the watering down of class identity to the point that any class could accomplish the same job with primarily only different visual effects. Racial identity was also stripped out by the removal of most race/class quests, the total removal of the priest racials, and the total watering down of the racial abilities. The current expansion changed the class stuff for the most part (especially for holy priests but that’s probably obvious) but it’s only worth mentioning to back up my previous statement. The real place I want to pivot here is to Blizzard’s other game Overwatch. Overwatch has a ridiculous amount of identity. 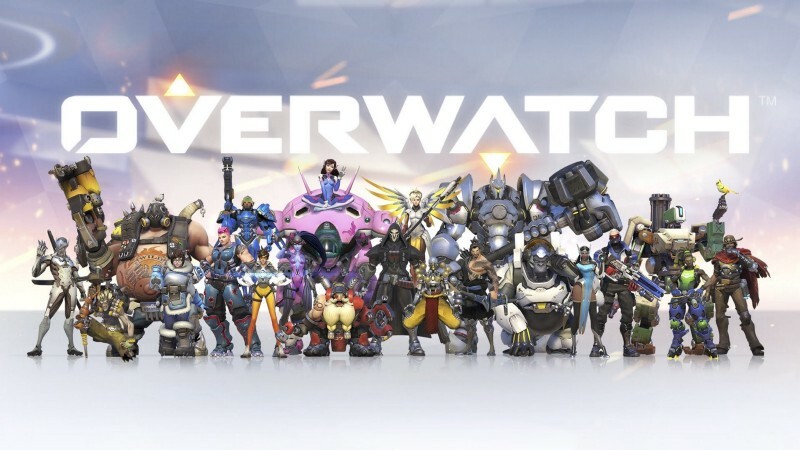 Unlike classic competitive first person shooters like Quake and Unreal Tournament, “Hero Shooters” like Overwatch give you characters to play. You’re not some generic guy with an automatic rifle, you’re Soldier 76, ex world renowned legitimate superhero team leader turned outcast. Every single character has such a massive amount of personality and those personalities are so diverse it’s very easy to find something to identify with.